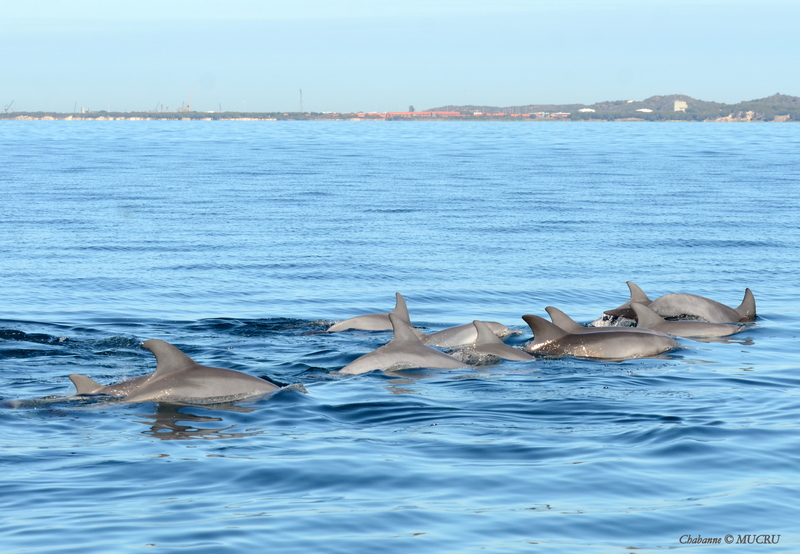 Pod of bottlenose dolphins observed in Cockburn Sound, Perth, Western Australia. Wildlife isn’t usually uniformly or randomly distributed across land- or sea-scapes. It’s typically distributed across a series of subpopulations (or communities). The subpopulations combined constitute a metapopulation. Identifying the size, demography and connectivity between the subpopulations gives us information that is vital to local-species conservation efforts. Richard Levins developed the concept of a metapopulation to describe “a population of populations”. 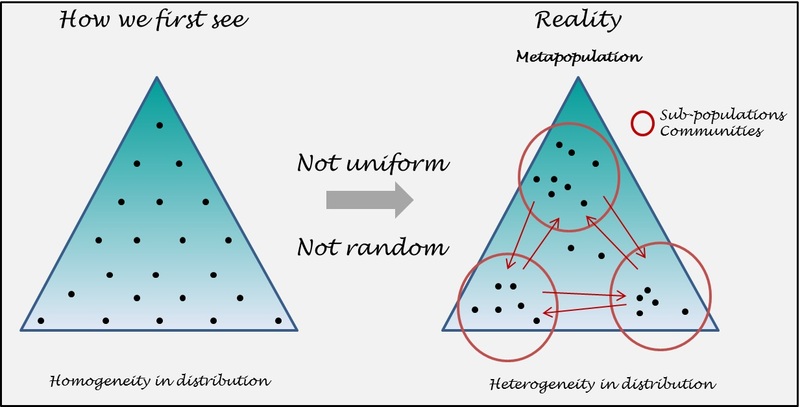 More specifically, the term metapopulation has been used to describe a spatially structured population that persists over time as a set of local populations (or subpopulations; or communities). Emigration and immigration between subpopulations can happen permanently (through additions or subtractions) or temporarily (through the short-term presence or absence of individuals). How individuals could distribute themselves within an area. Measuring Survival Selection in Natural Populations: How important is recapture probability? Damselflies marked in the field, which will hopefully be recaptured later. This small insect at our field site had only about 10% recapture probability. The quantification of survival selection in the field has a long history in evolutionary biology. A considerable milestone in this field was the highly influential publication by Russel Lande and Steve Arnold in the early 1980s. Matt is an Associate Editor for Methods in Ecology and Evolution. He was the principle organiser of this year’s SEEM conference. His research interests include Bayesian inference and hierarchical modelling, computational methodology, ecological statistics and much more. Matt is based at the University of Otago. 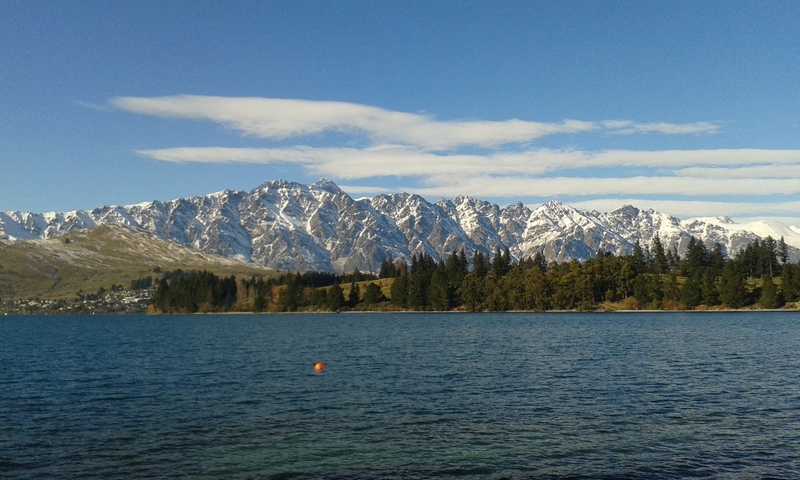 The Statistics in Ecology and Environmental Monitoring (SEEM) conference was held in Queenstown, New Zealand on June 22-26, 2015. Queenstown is a resort town in the Southern Alps of New Zealand that looks out on Lake Wakatipu, surrounded by snow-capped mountains. The venue gave a chance to explore some of the natural beauty of New Zealand, with excursions to local ski fields, wineries and various hiking trails.